Chandigarh. 25 March 2019. It is cloudy and windy morning at Air Force Station Chandigarh and I am here to be a part of the Chinook induction ceremony into the Indian Air Force (IAF). 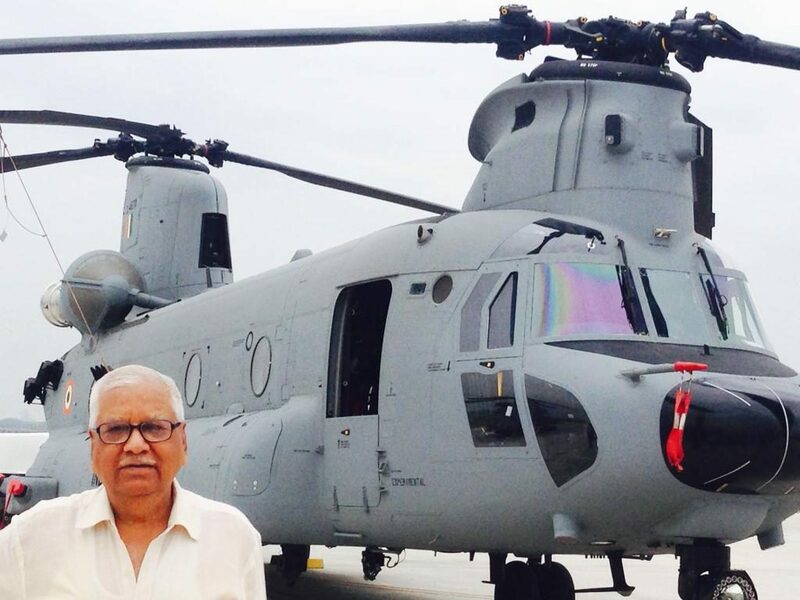 India finally enters the club of twenty one militaries of the world which operate the double rotor heavy lift helicopters. The Chief of Air Staff Indian Air Force Air Chief Marshal BS Dhanoa is already on the stage which is all set to welcome this new entrant into the IAF fleet. in mind Chandigarh is just the right geographically to station the fleet. AOC Air Force Stn Chandigarh welcomed all . 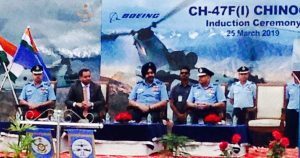 Salil Gupte Head Boeing India handed over the key of the chopper to the IAF Chief . 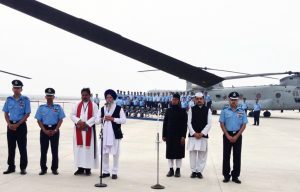 And as is a tradition in the Indian Armed Forces the religious teachers were there to bless the new chopper. The Hindu, Sikh, Christian and Islamic preachers blessed the new entry individually. And the force led by its Chief and all other guests stood to honour the religious motivators while they were blessing the helicopter. And with this finishes the induction ceremony of the Chinook into the Indian Air Force .